Residents of Puerto Rico are working on recovering from some of the damage that was recently caused by Hurricane Irene. Areas of Massachusetts also experienced flooding or other damage. The Occupational Safety and Health Administration is taking time to ask that all workers and residents be safe when they’re cleaning up the mess left behind by the storm. Storm clean up efforts can potentially result in personal injury in Boston and other areas that were affected by Irene. “Recovery work should not put you in the hospital,” said José A. Carpena, federal OSHA’s Puerto Rico area director. Our Massachusetts workers’ compensation attorneys understand that storm recovery efforts involve a number dangers and hazards. These conditions can be minimized with the proper safety knowledge, a safe plan and adequate personal protection. Everyone is urged to be safe when picking up the pieces after Irene has come and gone to avoid any injuries. -Removing floodwater from various area. -Repair efforts of roads, buildings, bridges, levees and dams. -Exposure to contaminated food or water. -Contact with falling tree limbs around tree trimming efforts. -Electrical-related injuries from generators and other electric items. -Entrapment in unprotected excavations or small, confined areas. -Being caught in fast moving water. -Make sure that all workers have proper protective gear, such as safety glasses, steel-toed boots, hard hats and work gloves. -All cleanup efforts should be planned with the community and thoroughly shared with all participating parties. -Keep an eye out for snakes and other reptiles that may linger in flood waters. -Make sure that all electrical and gas utilities are shut off by emergency service personnel. before you begin repair work. -Make sure that all workers have clean and portable water. -Beware of standing water. This storm flood water can contain animal and human waste. It can also be contaminated with petroleum products and various agricultural and industrial chemicals. -Encourage that all workers practice good hygiene. Workers should be asked to wash thoroughly before handling food and at the end of their work shift. Workers should be offered disinfectant for personal cleaning purposes. -Require that all workers operating chain saws and other loud equipment wear hearing protection. 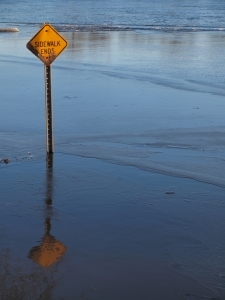 -Be careful when walking into or standing in flood waters. Traveling water can be dangerous, even for experienced swimmers. Standing water is dangerous as workers traveling through it may not be able to see holes or other tripping hazards. Boston Injury Attorney Jeffrey S. Glassman is available a free and confidential appointment to discuss your rights. Call 877-617-5333.